Have you ever heard of Côte d'Ivoire? Unfamiliar? Maybe Ivory Coast is more familiar to your ear. Côte d'Ivoire, also known as Ivory Coast, is in Western Africa on the Gulf of Guinea, which measures a little larger than New Mexico. Did you know that Côte d'Ivoire has its hidden paradise as well? Here are some of the awesome places to see the next time you decide to visit the Côte d'Ivoire/Ivory Coast. 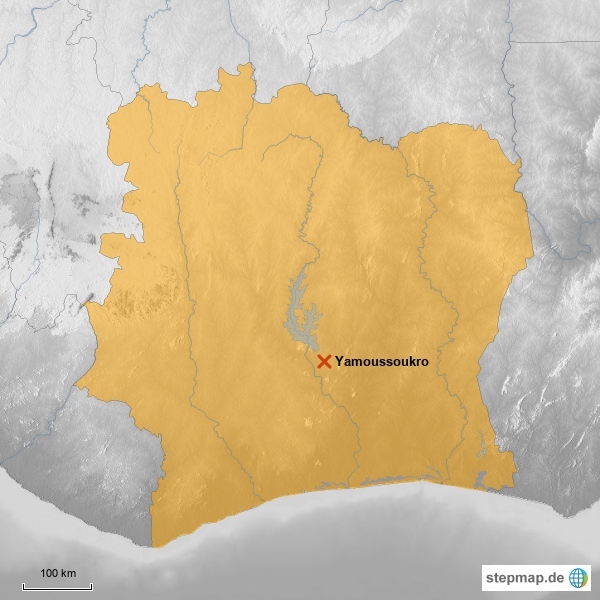 Côte d'Ivoire’s political capital city Yamoussoukro claims to be the largest Christian place of worship. Initially, Yamoussoukro was the second capital until Côte d'Ivoire’s achieved its independence in 1960. The Yamoussoukro Basilica is where St. Peter in Rome, a large mosque and other churches was modeled that’s why it has so much cultural importance. You will find here the amazing Basilica of Our Lady of Peace or Cathédrale Notre-Dame-de-la-Paix which was constructed between 1985 and 1989. Since it was listed by the Guinness World Records as the largest church in the world, travellers should never miss the opportunity to see this record breaking church. Assouinde is where most tourists go as it is surrounded by a blue sky, the ray of sunlight and a magnificent environment that brings out the beauty surrounding the beach area. Grand Bassam is a UNESCO World Heritage Site and home to the grander colonial buildings, cathedrals and the National Museum of Costume. Abidjan, which is also often called as the “Paris of West Africa,” has a population of approximately 2 million and the best thing about this place is that its suburbs stretch to the sea. So if you are planning to spend a great holiday or looking for a place to spend your summer, you can visit Abijian and enjoy the cool breeze from the sea and taste the saltiness of the beach. One of Abidjan's hidden secret is the rim of a lagoon at the edge of the ocean. There are nearby supermarket which opens from 8 am to 8 pm and shops nearby where you can go buy some snacks in case you're feeling hungry. Abijian has a wide variety of food for you to choose from. The local market and the bakeries offer a delicious variety of good food, in which, a must try is their breads and pastries. Abijian's tropical fruits and vegetables are locally grown so you can taste the sweetness and freshness of it, plus the fact that it’s plentiful and the price is reasonable. They also have a wide selection of European fresh fruits and vegetables but it’s a bit costly; however, if you’re not the type of person who is fond of fruits and vegetables, no need to worry because they also offer local and imported meat. They are also known for their local poultry, fresh fish and shellfish for a very reasonable price. You may also want to try their butter and cheeses - I can say they’re excellent! It’s not all food here in Abijian as they also have drinks such imported colas and wine. When you get to visit Côte d'Ivoire, don’t forget to try their superb cocoa drinks and chocolate. Comoë National Park, which is included in the UNESCO heritage site, is one of the largest protected areas in West Africa. The park is characterized by its great plant diversity, and the presence of the Comoé river the area is a plus. If you enjoy nature, you can visit Comoé National Park with friends and family. Abokouamekro Game Reserve is also a protected area. It offers a refuge to the region’s threatened wildlife, and is covered with towering trees which is really breathtaking. La Cascade is a term they use to describe renovated 17th century houses in South of France. Houses sits on the bank of the mountain stream wherein the house is filled with music coming from the waterfall. St. Paul’s Cathedral is an Anglican cathedral and sits on the Ludgate Hill, which is the highest point of the city. It is one of the most famous sights to visit, so don’t miss the opportunity if you're planning to go to Côte d'Ivoire! The National Museum or Musée National houses an interesting collection of traditional art and craftwork, which includes wooden statues, masks, pottery, ivory and even bronze. If you're into seeing history and enjoys learning history, this museum is a must visit.